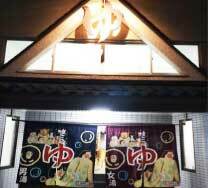 Koraku-an is an inn of whole house renting type where you can relax. 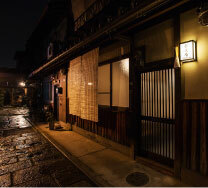 In the center area of Kyoto city, in the alley of a residential area near Nijo Station, It is an inn which refurbished the traditional residence of Kyoto called “KYO – MACHIYA”. The hidden staircase and various parts such as woodworking fittings remained in the form as it was more than 100 years ago, Decorations such as paintings are all genuine traditional crafts. You can feel high quality historical culture. In addition, there are convenience stores, supermarkets, public bathes etc. It can be touched by local people and is a very convenient place. Please enjoy the historical culture of Japan and the downtown culture of Kyoto. For inquiries, please contact from the contact form. 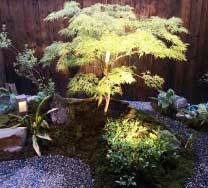 It is in the cobblestone alley with Japanese emotions. It is one of the traditional townhouses lining up. 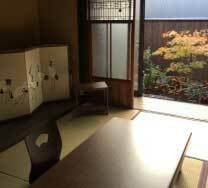 It is a room that you can see the beautiful Japanese garden which changes according to the four seasons. 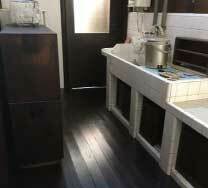 There are Japanese traditional folding partition with several panels and Japanese tea–cupboard. 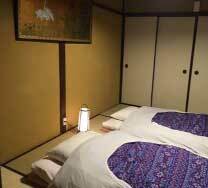 The Japanese style room on the second floor is a traditional "Kyoto Wall" called KYO - KABE which uses "breathing soil", the ceiling is made by wooden plate over 100 years ago. The folding partition for tea ceremony with the work of traditional craftsmen and antique chest are displayed. There remains old “sink of tiles” and a symbolic ovary ceiling of the KYO - MACHIYA called "Hibukuro" (like a fire escape) to miss the smoke. Electric water heater, refrigerator, complete set of cooking utensils. 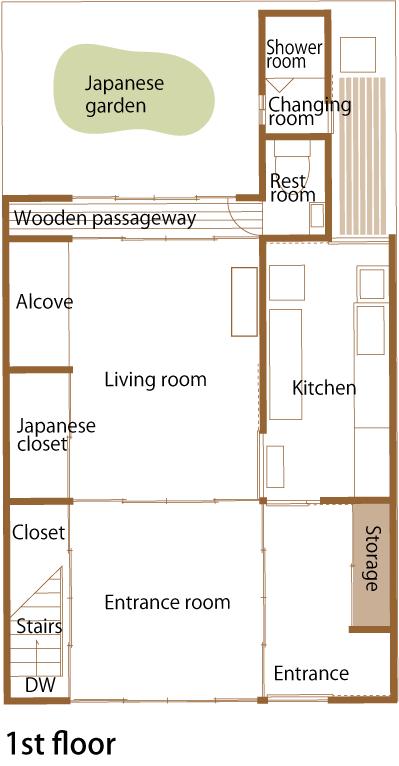 It is the first room. There is a stunning peacock picture in the closet and hidden staircase. (One coner of Korakuan’s alley was a factory that dyed red “Nagajuban” (kimono underwear) in the past, after that, the hidden closets of the1st floor were painted red. There is a shower room in Korakuan, but there are traditional public bathes where Japanese culture is felt in the immediate vicinity. There is a sauna and an electric bath each, so you can interact with local people. 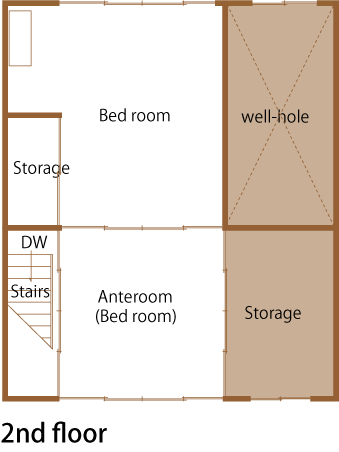 The first room which went up to the second floor. It also be used it as a bedroom. 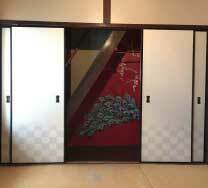 There are traditional sliding doors of Taisho era and small mirror stand of antique. 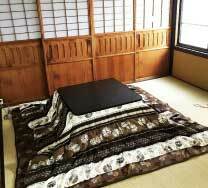 Kotatsu in winter season. A Japanese garden where the atmosphere changes every 4 seasons. It is beautiful at night lighting up. Furniture may change depending on the season and so on.